Steel security doors certified by LPCB to LPS 1175 Issue 7 Level SR6. 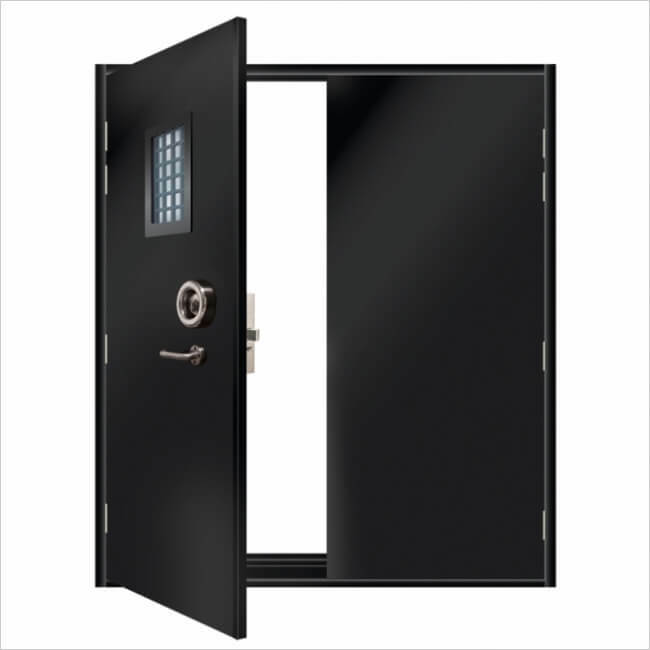 A wide range of single, leaf-and-a-half & double leaf, security doorsets available with single point locking and ExcluGlass® 6 vision panel. The only company able to offer this security rating on steel doors with a single point lock on single and double leaf doorsets. Electro-zinc coated steel for maximum corrosion resistance. 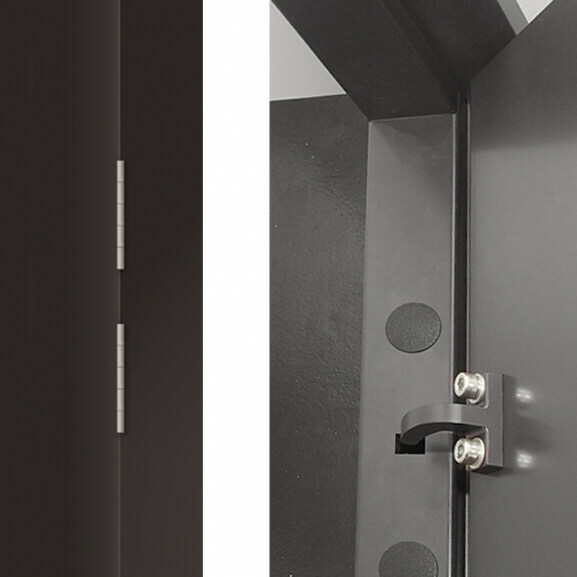 Tough recessed stainless steel hinges with anti-crushing fixing and independent dog bolts. Anti-lever cover strip to closing edge of door leaf. 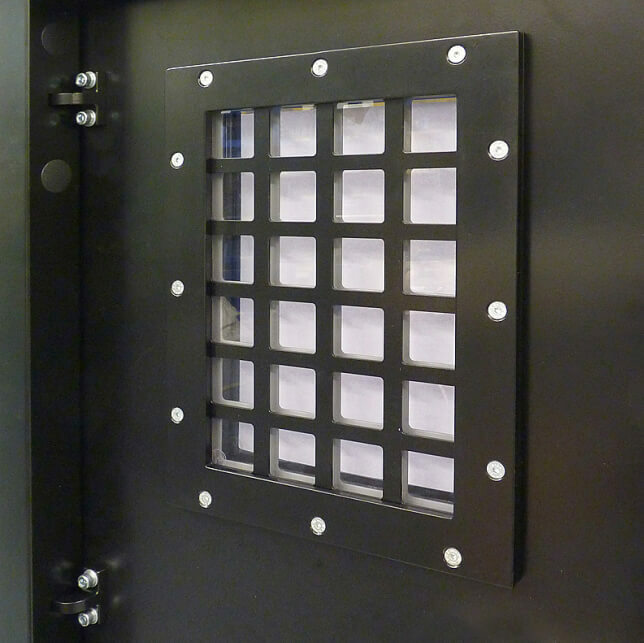 The only company to offer this level of security with the option of ExcluGlass® 6 vision panel. The ExcluDoor® 6 range of security doorsets are available with a number of locking options. A range of compatible cylinders are available. Material: 1.5mm electro-zinc coated steel steel. Material: 1.5mm electro-zinc coated steel incorporating additional internal drill resistant protection plate to attack face. 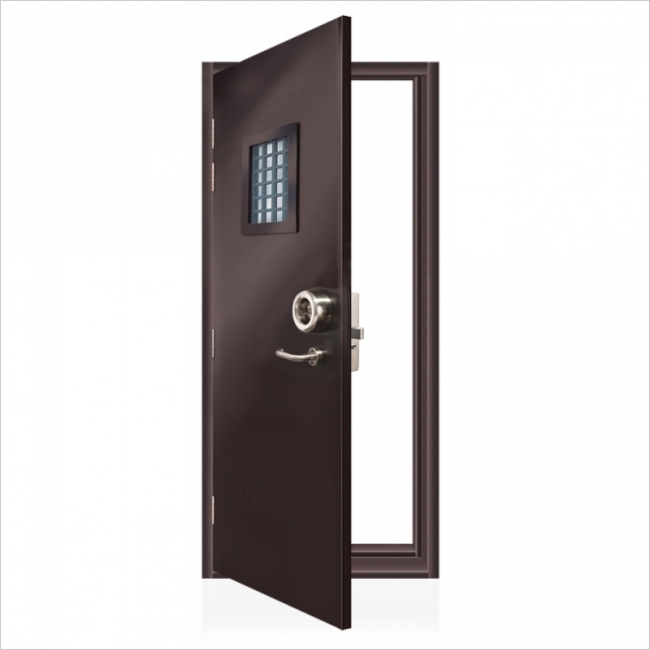 Size: 45mm thick composite door leaf with anti-lever cover plate to closing edge. Weight: Approximately 90kg per square metre. 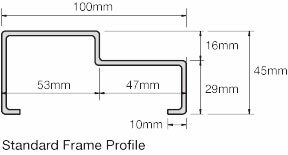 Hinges: Minimum of 4 Stainless Steel hinges tested to EN1935: 2002 Grade 13, endurance tested to over 2 million cycles, recessed into door leaf. Independent hardened steel hooked dog bolts with reinforced anti-crush fixing are also incorporated with the hinge jamb assembly. One coat of grey etch primer as standard for on-site finishing or there is the option of a wide selection of powder coated colours from our own factory powder coating facility. Optional extras are available including external lever handles, weather/smoke seal, kick and push plates, alarm contacts and electronic lock status monitoring. 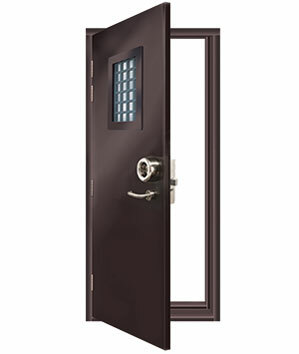 The U-value for a standard ExcluDoor® 5 door was calculated to be 2.799 W/m2K. When fitted with a vision panel the U-value was measured at 3.274 W/m2K. Robust recessed stainless steel hinges (left). Integrated hooked dog bolt (right). 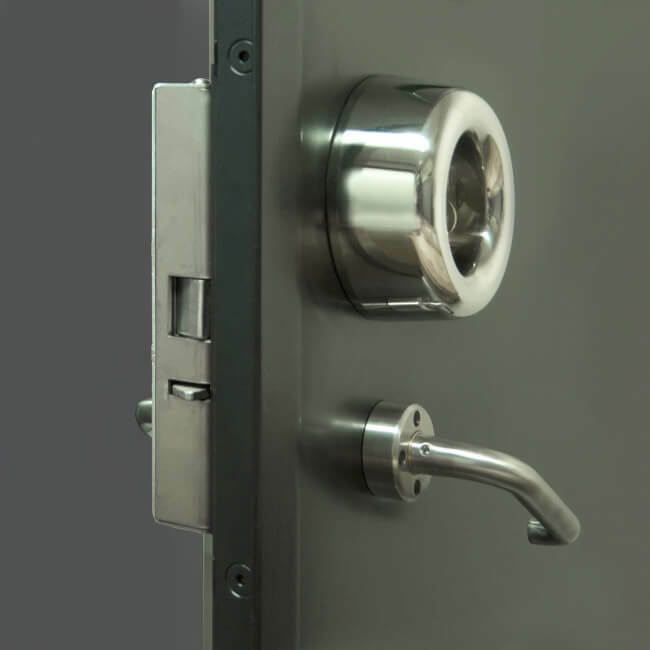 Single point locking systems available with a number of high security cylinders. 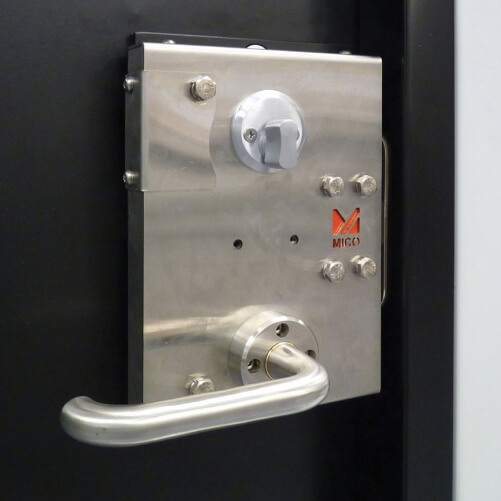 External locking option with lever handle and cylinder guard and internal single point lock. Can incorporate ExcluGlass® 6 vision panel.